SEATTLE—Committee for Children, the global leader in research-based social-emotional learning (SEL) education, announced today the hiring of Polly Stansell as the new vice president of product. Stansell joins Committee for Children after having spent the previous four years as the senior vice president of Strategy & Product Development at Voyager Sopris Learning (VSL), a leading educational solutions and services company. In this role, Stansell was responsible for strategy, ideation, instructional design, and development of new products. Prior to VSL, she worked for McGraw-Hill’s Center for Digital Innovation, Reality Based Learning Company, The Lightspan Partnership, and Edmark. 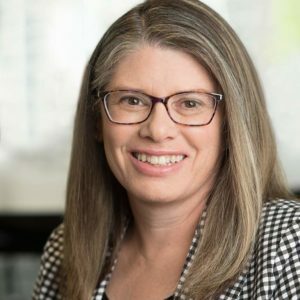 In addition to Stansell’s product development experience, she has served as a board member and on the strategic council for the Partnership for 21st Century Skills and served on the Corporate Advisory Council for Excellence in Education. Maybe most influential for Committee for Children’s mission, Stansell has also been a teacher for grades two through six. Her hiring comes at the heels of nine senior level promotions in addition to a handful of other staff hirings since the beginning of 2018. Committee for Children is on a mission to ensure children everywhere can thrive emotionally, socially, and academically. Best known for our innovative social-emotional learning (SEL) curricula that blend research and rigor with intuitive program design, we empower children and their adults with skills that help them realize their goals in the classroom and throughout their lives. Since 1979, we’ve been connecting experts in the field in order to share experiences and advance the cause of educating the whole child. A force in advocacy, we’re helping pass policies and legislation that place importance on creating safe and supportive learning environments. Today, our social-emotional learning and child safety programs reach over 14 million children annually in more than 70 countries worldwide. By lifting up children today, we’re helping them create a safe and positive society for the future. Learn more at cfchildren.org.